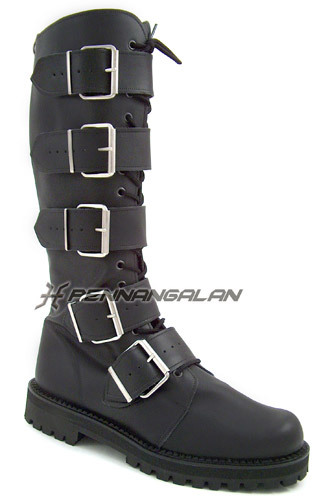 Striking five-strap upper on top of a durable commando shoe and sole. 20 eyelets up each side for the laces. Zip These do not have steel toes. Available in 100% REAL LEATHER or 100% VEGAN LEATHER options. Our VEGAN boots are made from 100% animal-free materials.